​China is by far the world’s largest oil importer, and many producer nations are already more than happy to transact in yuan terms. 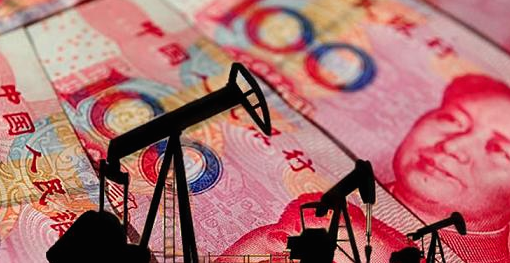 With the US’ global power and reach waning, and given the success of CNY-based commodity futures in general, the Shanghai International Energy Exchange’s decision to launch a yuan-based crude oil future is a runaway success. This prediction was Predicted By Max Keiser on 10/25/17 and its expiration date is 8/27/18. This prediction was Predicted By Kay Van-Petersen, Predicted By Jacob Pouncey, Predicted By Saxo Bank on 12/10/17 and its expiration date is 12/31/18. 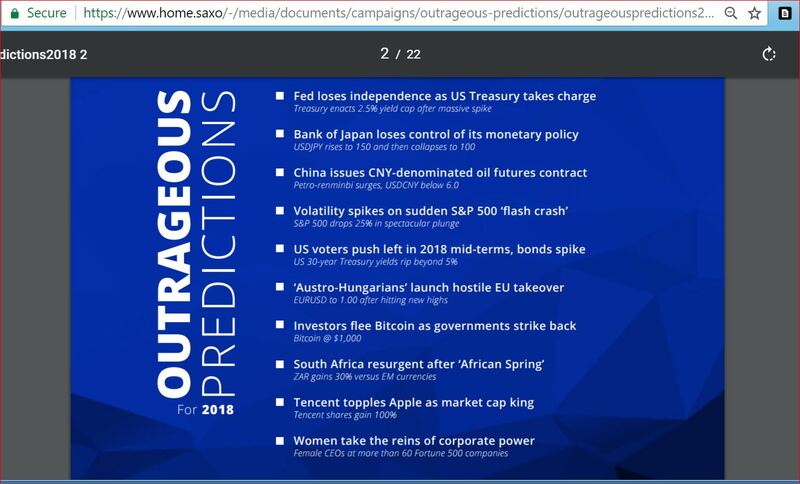 This prediction was Predicted By Peter Garnry, Predicted By Saxo Bank on 12/11/17 and its expiration date is 12/31/18. This prediction was Predicted By Steen Jakobse, Predicted By Saxo Bank on 12/11/17 and its expiration date is 12/31/18.